Updated and refreshed to make a stylish home behind a classically presented facade, this character property's modern spaces are complemented by a spacious garden at the rear. It is cleverly designed to make the most of the light and space, as well as providing a solid home in one of Mitchelton's best tree-lined streets close to all everyday necessities. The interior layout is well proportioned with sleek polished timber floorboards, high ceilings and lots of original character throughout. 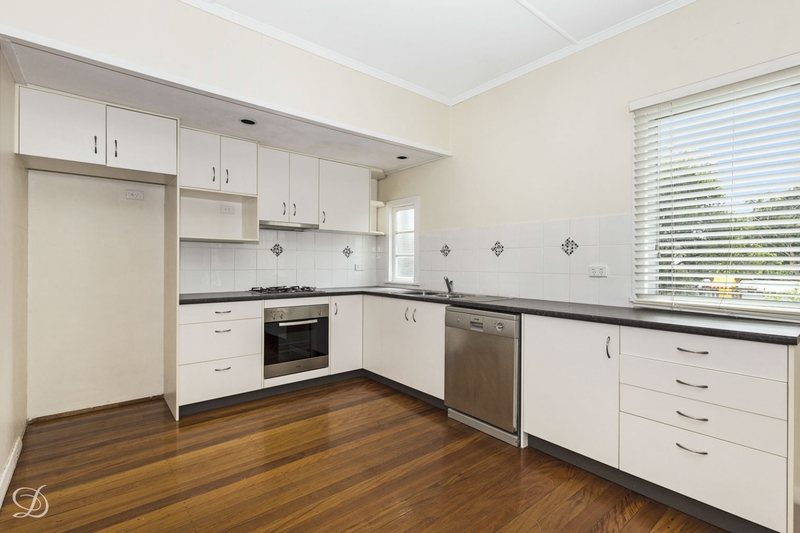 The kitchen has been smartly updated and is equipped with stainless steel gas fittings and a dishwasher, plus there are three good sized bedrooms, a modern bathroom and internal laundry. It's the outdoor areas that will truly appeal to families because of the private alfresco areas, covered veranda and deep garden that has a fully fenced level lawn. There is also excellent storage underneath the house along with garaging and extra off-street parking if needed. This leafy street location is just a short walk away from Oxford train station and is within minutes to buses, Brookside Shopping Centre and schools.